Summary: The Penn Brewery makes a surprise announcement -- it's staying put on the North Side. Reporter: Tara Edwards, WTAE Channel 4 Airtime: 2 minutes, 2 seconds on Feb. 23 Visuals: * A myriad of shots of the ins and outs of Penn Brewery. In fact, possibly the only thing not filmed was the restrooms. Highlights: * When anchor Shannon Perrine offers background: "Many people were not happy when Penn Brewery announced last fall that it would have to move." * When Edwards leads, "Well, after meeting with the owner after the past few days, they've come up with a new lease. And now the Penn Brewery is announcing that they will stay in this location." * When Edwards narrates, "For many North Siders and those throughout Pittsburgh, the Penn Brewery is a tradition." * When Penn Brewery CEO Len Caric stresses, "It's very critical that we're here on the North Side. I mean, we heard from so many people that we just can't leave." * When Edwards continues: "The brewery and restaurant were scheduled to close down its historic location and move somewhere, most likely in the city. The last night would have been themed 'Auf Wiedersehen,' meaning in German, 'until we meet again.' But then, a surprise announcement." * When Edwards explains, "In November, management announced their lease was to triple and they could not afford to stay there. [The building owner] had said the brewery owed money on a water bill. ... [The brewery] even stopped making beer here and instead, [started] using another company." * When Mayor Luke Ravenstahl says about the outcome of negotiations to settle those differences: "As a North Sider, it's something that I take great pride in, and this is just another great North Side story that we were able to work collaboratively." * When Edwards elaborates, "A push to stay put from the community helped, too. Penn Brewery had to lay off brewers in the meantime as well. 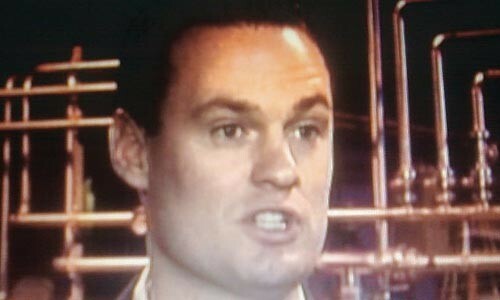 Mayor Luke Ravenstahl says keeping this location open also means keeping jobs on the North Side." * When Edwards concludes, "And the restaurant will close on Monday so that management can reorganize and reopen on Tuesday, but no word on when the brewery will actually reopen." 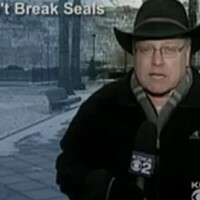 What We Learned: Pittsburghers are not happy when anything has to move. That's what helps keep our good friend Rick Sebak (producer of documentaries like Things That Aren't There Anymore) in business. Unanswered Question: "North Side Story"? Do you feel pretty, Luke? Oh so pretty? Pretty and witty and bright? News Value: 3. The facts are here, but otherwise, a lackluster report.